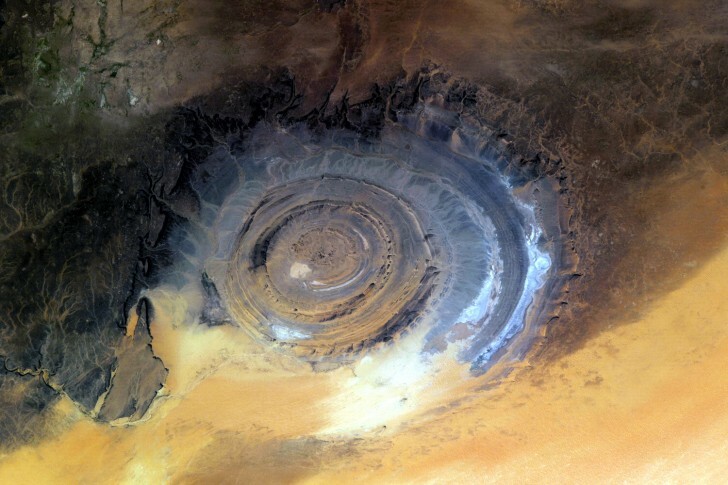 Richat Structure: Eye Of The Sahara, Sahara Desert, Mauritania | 10 Most Alien Landscapes From All Over the World! 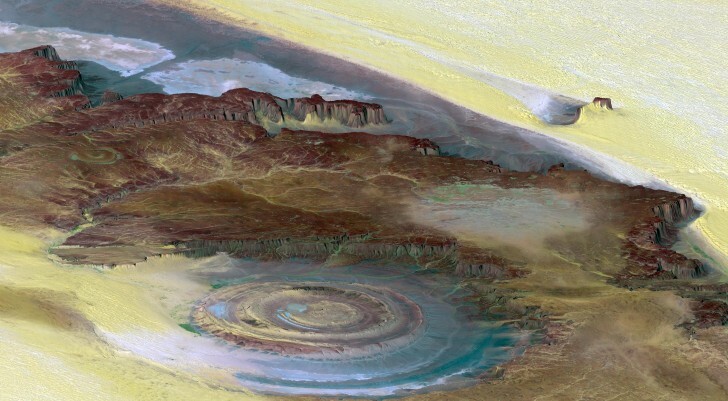 Richat Structure is an ancient geological artifact lying in the middle of the Sahara desert. Its diameter is 50 km and it's can be seen ever from space. Famous British scientists are still arguing about the origin of this Eye. They say that this is a consequence of the fallen meteorite or the result of ancient geological processes, but there is no evidence of any of these options. In the heart of the artifact tourists can find a comfortable hotel and spend some time enjoing this incredible landscape.